With the increasing penetration of intermittent renewable energy, responsive loads, and microgrids, the power system has been subject to different types of dynamics. Consequently, the static state estimation (SSE) used in today?s energy management systems may be unable to capture these dynamics in an operational environment. 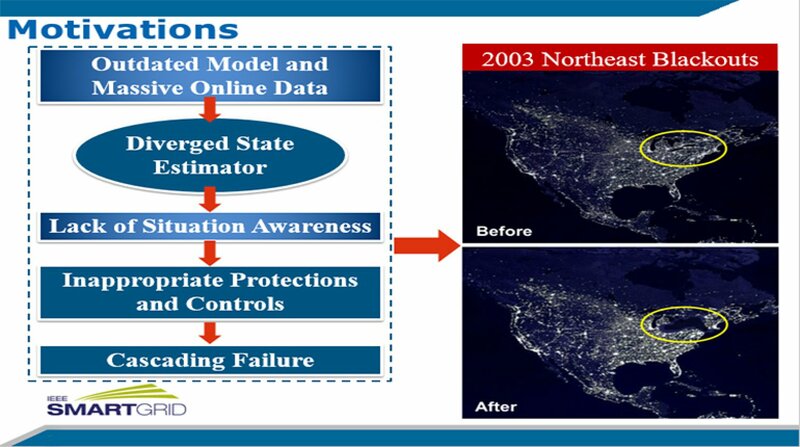 As a result, new monitoring tools need to be developed, such as dynamic state estimation (DSE). The capability of DSE to accurately capture rapid dynamic changes in system states plays an important role in power system control and protection. Thanks to the widespread deployment of phasor measurement units, the development of a fast and robust DSE becomes possible. This webinar will present a comprehensive view of the DSE, in terms of its motivations, concepts, implementation and utilization. The similarities and differences between DSE and other existing estimation methods will be clarified as well.